Melusberry Crafts: Labelling Just About Everything! I've been doing some reorganising. Like a few bits and pieces and literally getting rid of some craft things and keeping some craft things. Keeping everything to a minimum and trying not to buy more craft stuff. This for someone like myself is technically near to impossible. I decided to reorganise my dies cuts and stamps and have done so step by step, ever so slowly. 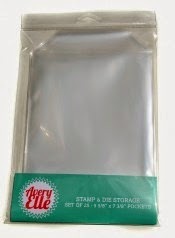 I started by purchasing the Avery Elle Storage Pockets available in the UK from various craft websites, but I bought mine from Make The Day Special and cut some white card stock to fit the pockets. I then decided after a few months, I would buy a label maker to label all the dies and stamps sets I have - this was a brilliant idea! So being the crafter that I am, I trawled the internet for a well-priced solution! I thought that a Dymo Label Maker would be ideal, but these were priced at the £20+ mark and I couldn't justify the price for it - though it is a good machine and labeller, I did just want something that would do the job, but a little less. 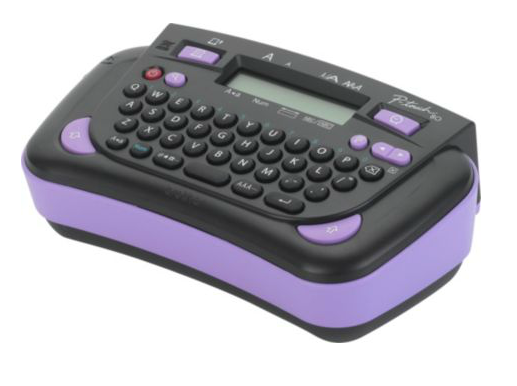 I then browsed through the Argos Online Catalogue and opted for the Brother PT-80 Label Maker. I read a few reviews online and most were from crafters who had bought this to label their stamps, dies or craft boxes - which is perfect for me! At £16 with 4 x AAA batteries and 4m tape included, this is great for the moment. The labeller also has a qwerty keyboard, different, font and design types and labels are available in different colours and two different widths - 9mm and 12mm. So I hope this gives you an idea for simple organising on a budget - you can always get great ideas via YouTube and online via Pinterest, so if you're trying to be as organised as I am - go for it! Happy organising and happy crafting!